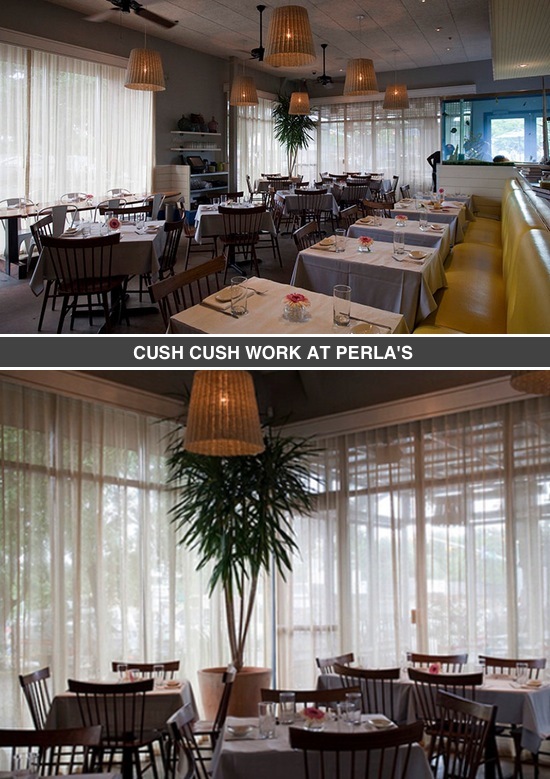 The natural light flooding inside Perla’s Seafood and Oyster Bar has never looked better. These custom drapes were designed to soften the restaurant windows and allow daylight in, keeping the restaurant feeling nice and bright for patrons. Suddenly we’re in the mood for seafood!